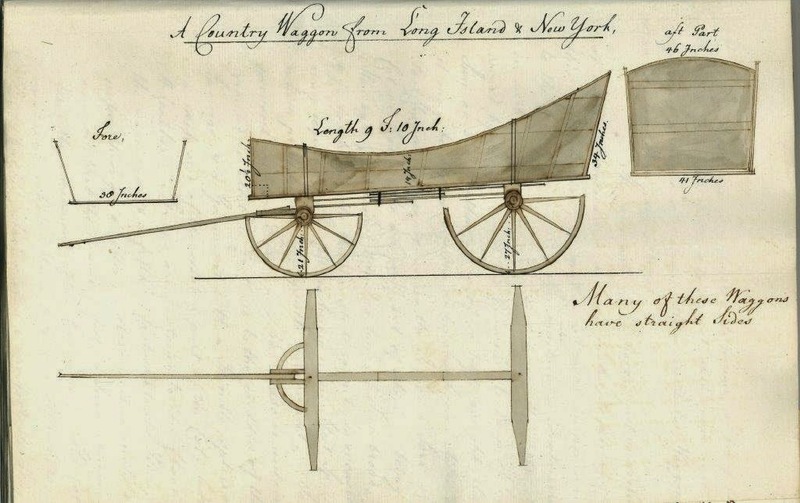 A Drawing Titled "A Country Waggon" by Francis Rush Clark ~ The History Girl! Editor's Note: This week, author and friend Arthur Lefkowitz has shared a chapter from his forthcoming book entitled Eyewitness Images from the American Revolution. The book is scheduled to be published in March 2016 by Savas Beatie. The book will examine Revolutionary War period artwork, artists, and their relevant context. Figure A: A Country Waggon by Francis Rush Clark. Reproduced by permission of the David Library of the American Revolution. Soon after taking command of the British Army in America, General William Howe wrote the Treasury in London requesting that they purchase a wagon train for him in England in anticipation of his 1776 campaign aimed at capturing New York City.2 Howe realized that he needed wagons and horses to move inland to suppress the rebels from his base at New York. The Treasury approved Howe’s request and employed Francis Rush Clark to supervise the project. Clark was a civilian who was recommended for the position by Parliament member John Strutt based on Clark’s expertise in the construction and maintenance of wagons and wagon harnesses in addition to being experienced in caring for horses. Clark was hired in the spring of 1776 with the title of, "Inspector and Superintendent of the Provisions Train of Horses and Waggons attending our army in North America. "3 Things went badly for Clark from the outset of his assignment and his story is an example of the disorganization and corruption which plagued both the British and Continental armies during the war. Clark’s wagon train reached British-occupied New York in mid-November 1776. He landed his wagons and his remaining enfeebled horses which he intended to nurse back to good health. Finding stables for Clark’s horses in New York was a problem which never materialized as the British Army quartermaster general immediately appropriated Clark’s horses to meet the pressing needs of the army.5 Acting under Howe’s orders, General Charles Cornwallis invaded New Jersey on November 20, 1776 and every available horse and wagon was needed to keep his army supplied. Clark was capable but he had no money or authority to dictate policy as it was assumed that he could count on the cooperation of the army. Apparently Clark, who was a civilian unfamiliar with army routine, was also obsessive about wagons based on his correspondence. Howe quickly grew tired of Clark and his boring ceaseless chatter that the army should own its own wagons and horses instead of renting them from local farmers. The army’s hire system opened the opportunity for profiteering on a scale which one historian described as "an attack on the public treasury. "8 The assault was led by army officers working in the quartermaster department. Their scheme was to use threats and intimidation to buy wagons and horses from civilians at low prices. Then they turned around and leased them to the military at the generous daily rate being offered by the army and pocketing the difference. If a wagon was damaged beyond repair or captured all the better as the owner (a British officer or his proxy) was paid a generous sum for his loss. Compensation was also paid for horses which died or were captured while in military service. 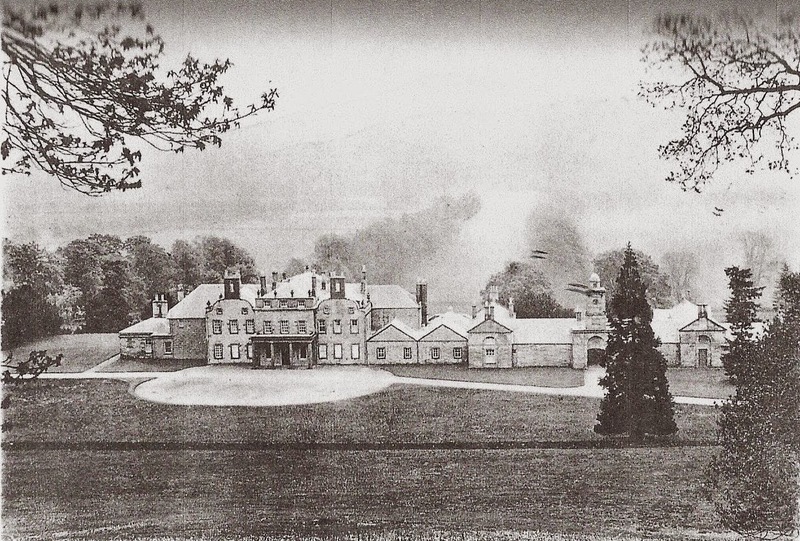 Archibald Robertson’s house on his estate in Scotland. How did these men manage to accumulate fortunes with an astute observer like Francis Rush Clark sending reports to the Treasury exposing their conspiracy? The answer is that the Treasury was overwhelmed by the complexities of supplying the British army in America. It was understaffed by civilians operating 3,000 miles from the war zone. Adding to the problem was that various army branches and private contractors were competing for wagons and horses resulting in erratic prices that were difficult to audit. Periodic inquiries into the enormous cost of army transport was buried in diatribe by officers who concealed their ownership of the wagon train and explaining that leasing transport had "...ever been the practice in America since General Braddock’s time. "13 As for Clark, he wound-up as an overpaid clerk in the quartermaster department. Postscript: There is a seemingly routine quote in the Papers of Francis Rush Clark which attracted my attention. The entry reads, "The Army moved the 13th June  in the evening. I saw them clear of [New] Brunswick. The flat bottomed boats and carriages did not go with them. I therefore deposited the harness in a storehouse...and returned to New York the 14th at Night." What Clark is referring to is Howe’s June 1777 foray into central New Jersey from his base at New Brunswick to bring Washington’s army into a general engagement. Howe’s objective was Philadelphia, the principal city in the colonies and the seat of the rebel government. The fastest way to reach Philadelphia was through New Jersey but Howe had to first defeat the main American army which was holed-up in the Watchung Mountains which were a short march from New Brunswick. Howe knew that Washington would fight a partisan war from his mountain stronghold ambushing British troops and cutting Howe’s supply lines. Apparently Howe was serious about attacking Philadelphia through New Jersey in June 1777 as Clark’s comment proves that his army was accompanied by wagonloads of boats which Howe’s engineers could use to construct a pontoon bridge across the Delaware River. Unable to bring Washington’s army into a general engagement in New Jersey, Howe returned to New York and boarded his army onto ships to attack Philadelphia from the south. 1 An army of 20,000 men consumed thirty-three tons of food in one day. Since a four-horse wagon could carry about a ton, an army of that size on a campaign required at least thirty-three wagons and 152 horses to provide the troops with food per day. This was in addition to feed for the horses of the cavalry and artillery companies plus food for the horses pulling the wagons. At times oxen were used instead of horses to pull wagons and artillery. 2 In the eighteenth century the Treasury was the largest department of the English government and exercised general financial control over the operations of the entire government. It was administered by The Treasury Board, which consisted of the First Lord, the Chancellor of the Exchequer, and three junior lords. Howe’s wagon train was a costly expense which required Treasury approval and funding. See Thomas C. Barrow, Trade & Empire (Cambridge, Massachusetts: Harvard University Press, 1967), 109. 3 The Papers of Francis Rush Clark (17 November 1776 to 25 October 1779). Sol Feinstone Collection, David Library of the American Revolution (on deposit at the American Philosophical Society). 4 Ibid. Clark stated that he left England with 845 horses. 367 of them died during the long voyage and 59 others succumbed shortly after reaching New York. 5 British logistical practices at the time of the American Revolution divided supervisory responsibilities between a civilian Commissary General of Stores and Provisions, concerned with foodstuffs and the procurement and storage of general supplies and a military Quartermaster General responsible for transportation, forage, camps and the movement of troops. A separate logistical branch handled munitions. The Quartermaster General is identified as a senior officer in the army and "should be a man of great judgment and experience." See Captain George Smith, An Universal Military Dictionary (London: Printed for J. Millan, 1779), 219 and Robert K. Wright, Jr., The Continental Army (Washington, D.C.: Center of Military History United States Army, 1983), 36. Logistics in military usage means the aspect of military science dealing with the procurement, maintenance and transportation of military material, facilities and personnel. The word did not exist at the time of the American Revolution. The earliest known use of the word logistics is in an 1810 book titled The Elements of The Science of War. 6 The Papers of Francis Rush Clark, Sol Feinstone Collection. 7 Edward E., Curtis, The Organization of the British Army in the American Revolution (New Haven: Yale University Press, 1926), 139. 8 R. Arthur Bowler, Logistics and the Failure of the British Army in America 1775-1783 (Princeton: Princeton University Press, 1975), 182. 10 Richard M. Ketchum, Saratoga Turning Point of America’s Revolutionary War (New York: Henry Holt and Company, 1997), 262. 11 Harry Miller Lydenberg, editor, Archibald Robertson His Diaries and Sketches in America (New York: The New York Public Library, 1930), 7. 13 This quote is attributed to British General Darlrymple who served as Quartermaster General in one point during the war. See Bowler, Logistics and the Failure of the British Army in America, 185. 14 Major Eric A. McCoy, “The Impact of Logistics on the British Defeat in the Revolutionary War,” U.S. Army Sustainment Magazine Vol. 44, Issue 5 (September-October 2012). 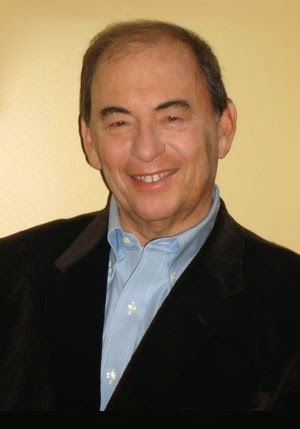 Arthur Lefkowitz is an independent researcher and author living in New Jersey. He is a graduate of New York University with a master's degree from Long Island University. His four previous books are noted for their unique subject matter: The Long Retreat: The Calamitous Defense of New Jersey, 1776 (1999), George Washington's Indispensable Men: The 32 Aides-de-Camp Who Helped Win American Independence (2003), The American Turtle Submarine: The Best-Kept Secret of the American Revolution (2006, 2012), and Benedict Arnold's Army: The 1775 American Invasion of Canada During the Revolutionary War (2008). His books have received numerous awards and he is a member of the Board of Governors of the American Revolution Round Table. His most recent book, Benedict Arnold in the Company of Heroes: The Lives of the Extraordinary Patriots who followed Arnold to Canada at the start of the American Revolution, can be purchased here.